You can follow the tutorial, or Download the Preset at the end of the Page. Like This Preset? Consider Donating! This is what keeps Me Roling Guys! to get updates, Previews of upcomming Custom effects and other little Goodies. Last edited by Jorritschulte on November 13th, 2009, 10:45 am, edited 15 times in total. Updated It, i know it wasnt much at first, but now it is realy a good 'Fake Shine'! Nice Contrls (more) And it looks more like The Plugin. Your shine and deinterlace presets look awesome but I cannot download them for a try. It is possible for you to provide another link ? As I said thanks again for the new link regarding the De-interlace preset which gave me a wery good result. For the shine preset, I have now AE CS3 and, unfortunately, it seems that you have written this preset for CS4 only, so I cannot use it. 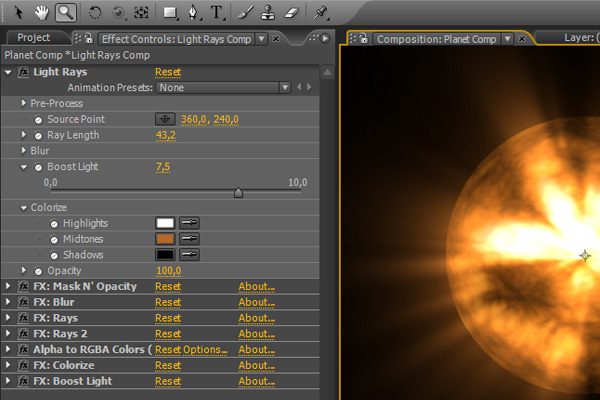 Is there any chance you still have this shine preset for CS3 (with the proper link ) ??? Anyway, very nice job, Dude ! Yes I previously did paste the text from The "CustomEffects.xml" into "PresetEffects.xml" file in AE Folder at the first time but I had this note to update my version of AECS3! !